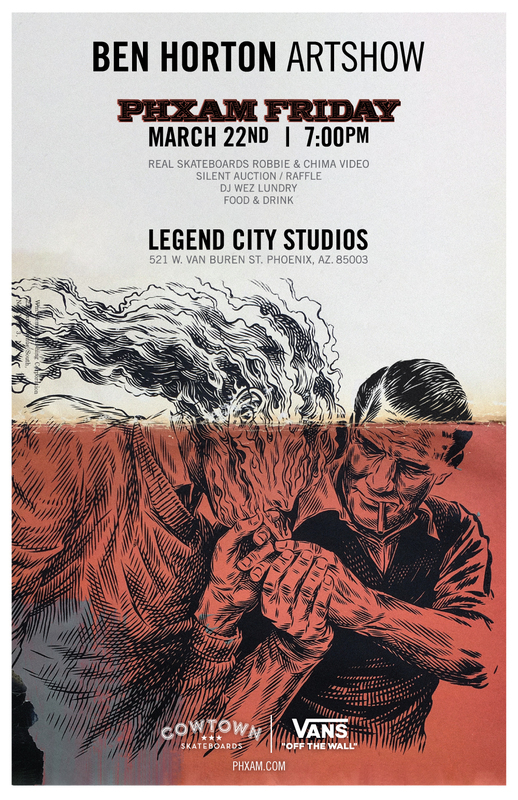 PHXAM Friday, March 22nd VANS will be hosting a Ben Horton Artshow at Legend City Studios in downtown Phoenix. Other festivities include a silents auction and raffle to benefit the Pugh family, a special Look Back Library display featuring 41 years of the Ollie! and proper music by DJ Wez Lundry. Special PHXAM Beer from the Shop Beer Co will be available!